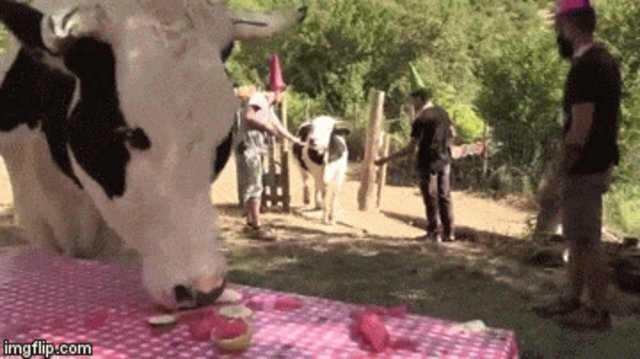 He's growing up fast, and just had his very own birthday party. 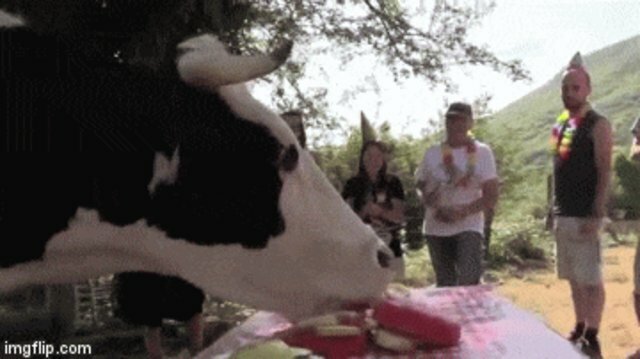 When Samuel celebrated his third birthday last month, friends threw him the kind of party most cows could only dream about. Mounds of melons studded with edible candles. Well-wishers throwing glitter dust into the air. And scores of people lined up to pat him on the head. But then again, Samuel deserves to live this dream. Because before he arrived at Santuario Gaia, an animal sanctuary in Spain, his life was the stuff of nightmares. Back in 2013, Samuel just a newborn - and already a dairy farm reject. 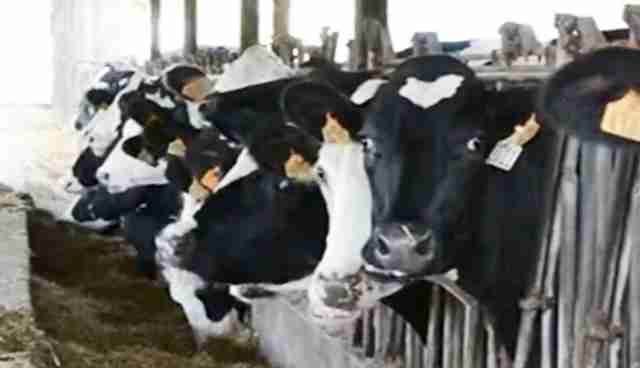 The farmer who separated him from his mother when he was 6 days old wouldn't be able to get any milk from Samuel or his twin brother, since they were both males. Sadly, Samuel's brother was killed. But Santuario Gaia stepped in to offer a home to Samuel; they took the sick calf back to their refuge in Girona. 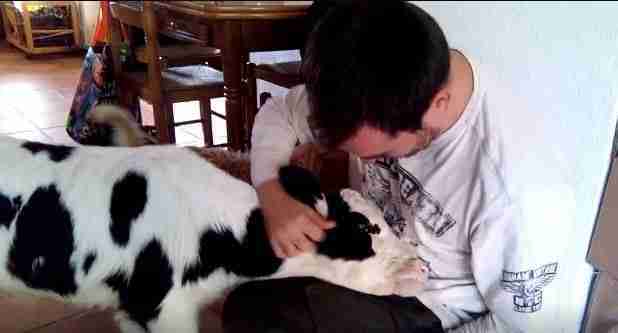 The day sanctuary co-founder Ismael López lifted Samuel from his kennel, a lifelong bond was forged. At the refuge, it would take a while for Samuel to get his bearings. "He reached the sanctuary very sick," López tells The Dodo. "And for about a month seemed about to die." 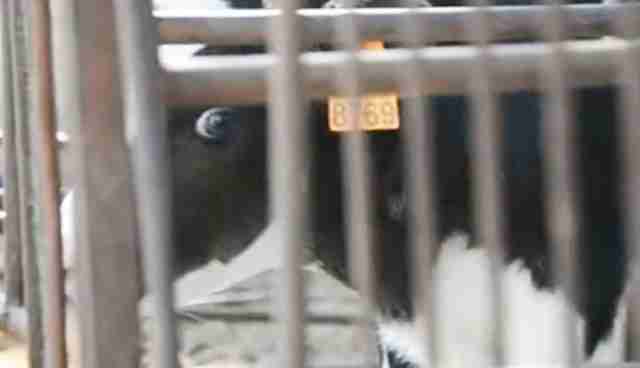 But Samuel would soon finds friends to lean on among the rescued dogs, cows and goats. And the one friend he leaned on the most. When the dogs would come inside the house, Samuel would slip in with them - and head straight for Lopez. In the days ahead, Samuel would grow in confidence. 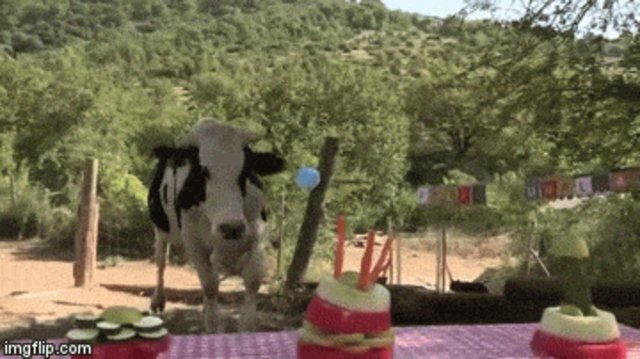 Every birthday was a celebration of a bigger, stronger, happy cow. Happy belated, Samuel. And congratulations on finding a life that's worth savoring. If you would like to support Santuario Gaia and its mission to save countless animals like Samuel, consider making a donation here. 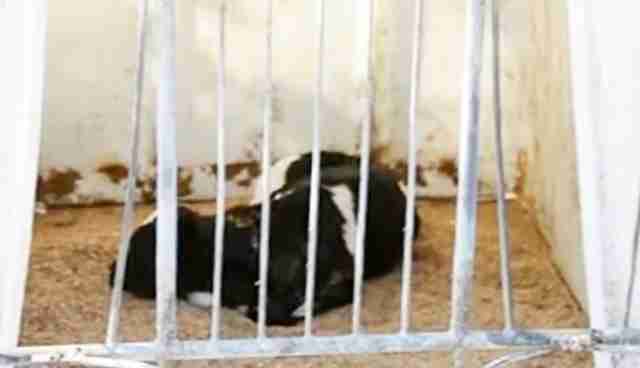 You can watch a video of Samuel's rescue here.